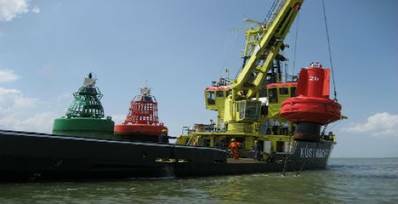 New routes and Traffic Separtation Schemes in the Dutch part of the North Sea came into force at midnight on 1, August 2013.
a new Traffic Separation Scheme (TSS) − already in force in Rotterdam − is introduced in the approaches to IJmuiden. This will ensure that vessels sailing in opposite directions have their own sea lanes. areas to be avoided’ and ‘precautionary areas’ are introduced. Vessels will no longer be allowed to sail in ‘areas to be avoided’, while vessels sailing in ‘precautionary areas’ will be explicitly advised to navigate carefully. For several days after the new routes have come into effect the government will deploy extra vessels (Emergency Towing Vessels (ETV)) and Vessel Traffic Services (VTS) to supervise maritime traffic and, where necessary, lend assistance. In addition, a Coastguard aircraft, a helicopter and the Arca (equipped with anti-pollutant materials) will be on standby should assistance be required. Detail & chartlets at: http://www.rws.nl/images/New%20shipping%20routes%20North%20Sea%201st%20august_tcm174-339361.pdf (But official publications should be referred to).